Mary Todd, the daughter of Eliza Parker and Robert Smith Todd, was born in Lexington, Kentucky on 13th December, 1818. Her father was a wealthy banker and lawyer who was an active member of the Whig Party. Her mother died when Mary was six and she did not get on with her stepmother. In 1839 Mary went to live with her sister in Springfield, Illinois. While there she met Abraham Lincoln. Despite objections from her family, the couple were married in November, 1842. The couple had four sons: Robert Lincoln (1843-1926), Edward Lincoln (1846-50), William Lincoln (1850-62) and Thomas Lincoln (1853-1871). Three of the boys died young and only Robert lived long enough to marry and have children. When Abraham Lincoln went to Washington to take his seat in the House of Representatives in 1847, Mary and the children went along. Lincoln felt that Mary "hindered me some in attending to business" and the following year the rest of the family returned to Springfield. 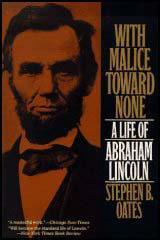 The death of Edward Lincoln on 1st February, 1850, caused Mary to have a spiritual crisis. She ceased attending Episcopal services and became a member of the Presbyterian Church. Mary did not share her husbands progressive political views but supported him in his campaign to become president. 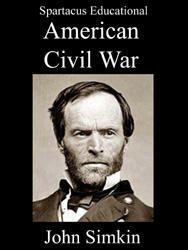 After his victory in 1860 Mary joined him in Washington. Uncomfortable in her new surroundings, she tended to over-compensate by spending large sums of money on clothes. This resulted in her building up enormous debts. William Lincoln died in 1862. Devastated by the loss of her second son, Mary became interested in spiritualism. Friends became concerned about her mental health when she began to claim that William's spirit came to visit her at night. During the American Civil War Mary came under the influence of Charles Sumner. She now became an ardent abolitionist and became more radical on this issue than her husband. Her seamstress and former slave, Elizabeth Keckley, also helped to change her views on slavery. Mary was with her husband at the Ford Theatre when he was murdered by John Wilkes Booth on 14th April, 1865. This event had a detrimental impact on her mental state and she suffered frequent bouts of deep depression. The situation became worse in 1867 when William Herndon wrote a book claiming that Lincoln had told him that Ann Rutledge, and not Mary, had been the love of his life. She responded by commenting: "This is the return for all my husband's kindness to this miserable man! Out of pity he took him into his office, when he was almost a hopeless inebriate and he was only a drudge, in the place." Deeply upset by Herndon's revelation, Mary and her young son, Thomas Lincoln, moved to Germany. However, the poor health of her son forced her to return to the United States. Soon afterwards, Thomas died of tuberculosis. Mary continue to worry unnecessarily about money. Charles Sumner had persuaded Congress to grant her a $3000 a year pension. She also had received a large percentage of her husband's estate. However, her conviction that she was poor, resulting in strange and irrational behaviour. This included selling her clothes and writing letters begging money from prominent politicians. In 1875 her only surviving son, Robert Lincoln, arranged for a sanity hearing. The court judged her insane and she was committed to a sanatorium in Batavia, Illinois. On 15th June, 1876, a second trial judged Mary sane and she went to live with her sister in Springfield. Her health continued to deteriorate and she refused to leave her bedroom. 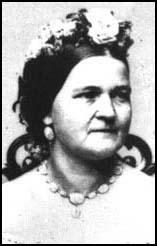 Mary Todd Lincoln died on 16th July, 1882. At 11 o'clock at night I was awakened by an old friend and neighbor, Miss M. Brown, with the startling intelligence that the entire Cabinet had been assassinated, and Mr. Lincoln shot, but not mortally wounded. When I heard the words I felt as if the blood had been frozen in my veins, and that my lungs must collapse for the want of air. Mr. Lincoln shot! the Cabinet assassinated! I waked Mr. and Mrs. Lewis, and told them that the President was shot, and that I must go to the White House. We walked rapidly towards the White House, and on our way passed the residence of Secretary Seward, which was surrounded by armed soldiers, keeping back all intruders with the point of the bayonet. We learned that the President was mortally wounded--that he had been shot down in his box at the theatre, and that he was not expected to live till morning; when we returned home with heavy hearts. I could not sleep. I wanted to go to Mrs. Lincoln, as I pictured her wild with grief; but then I did not know where to find her, and I must wait till morning. Never did the hours drag so slowly. Every moment seemed an age, and I could do nothing but walk about and hold my arms in mental agony. Morning came at last, and a sad morning was it. The flags that floated so gaily yesterday now were draped in black, and hung in silent folds at half-mast. The President was dead, and a nation was mourning for him. Every house was draped in black, and every face wore a solemn look. People spoke in subdued tones, and glided whisperingly, wonderingly, silently about the streets. The last time I saw him he spoke kindly to me, but alas! the lips would never move again. The light had faded from his eyes, and when the light went out the soul went with it. What a noble soul was his--noble in all the noble attributes of God! Never did I enter the solemn chamber of death with such palpitating heart and trembling footsteps as I entered it that day. No common mortal had died. The Moses of my people had fallen in the hour of his triumph. Fame had woven her choicest chaplet for his brow. Though the brow was cold and pale in death, the chaplet should not fade, for God had studded it with the glory of the eternal stars. When I entered the room, the members of the Cabinet and many distinguished officers of the army were grouped around the body of their fallen chief. They made room for me, and, approaching the body, I lifted the white cloth from the white face of the man that I had worshipped as an idol--looked upon as a demi-god. Not-withstanding the violence of the death of the President, there was something beautiful as well as grandly solemn in the expression of the placid face. There lurked the sweetness and gentleness of childhood, and the stately grandeur of godlike intellect. I gazed long at the face, and turned away with tears in my eyes and a choking sensation in my throat. Ah! never was man so widely mourned before. 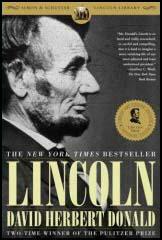 The whole world bowed their heads in grief when Abraham Lincoln died. That, that miserable inebriate Johnson, had cognizance of my husband's death. Why, was that card of Booth's, found in his box, some acquaintance certainly existed. I have been deeply impressed, with the harrowing thought, that he, had an understanding with the conspirators & they knew their man. As sure, as you & I live, Johnson, had some hand, in all this. (3) In her autobiography, Thirty Years a Slave, Elizabeth Keckley described an encounter between Mary Lincoln and John Parker, the man who should have been guarding Abraham Lincoln at the Ford's Theatre. Soon after the assassination Mrs. Lincoln said to him fiercely: "So you are on guard tonight - on guard in the White House after helping to murder the President!" "No, no! don't say that," he broke in. "God knows that I am innocent." "I don't believe you. Why were you not at the door to keep the assassin out when be rushed into the box?" "I did wrong, I admit, and I have bitterly repented it, but I did not help to kill the President. I did not believe that any one would try to kill so good a man in such a public place, and the belief made me careless. I was attracted by the play, and did not see the assassin enter the box."